New BMW M2 Competition is a perfect combination of performance, agility, and precision. 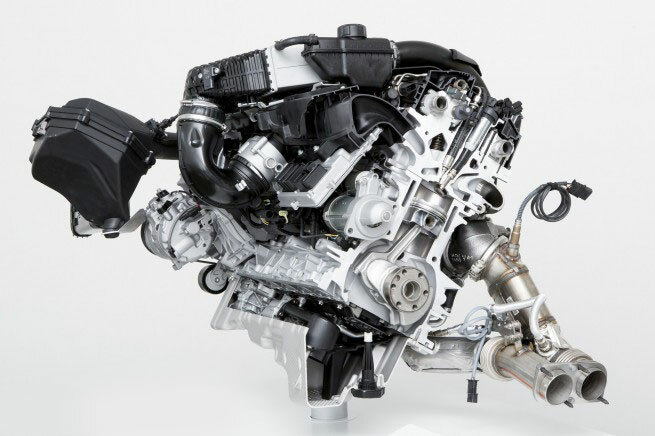 With the new 6-cylinder petrol turbo engine of 410 horsepower, high performance is guaranteed. 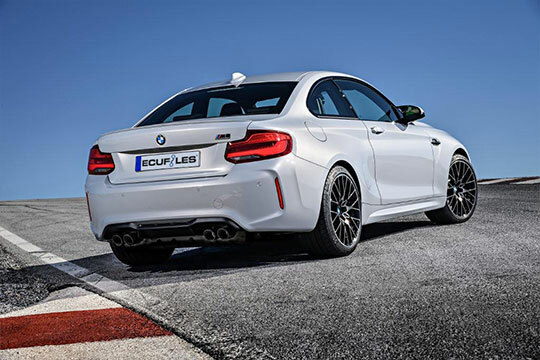 Thanks to this incredible power and agility, BMW M2 Competition leaves other cars far behind. 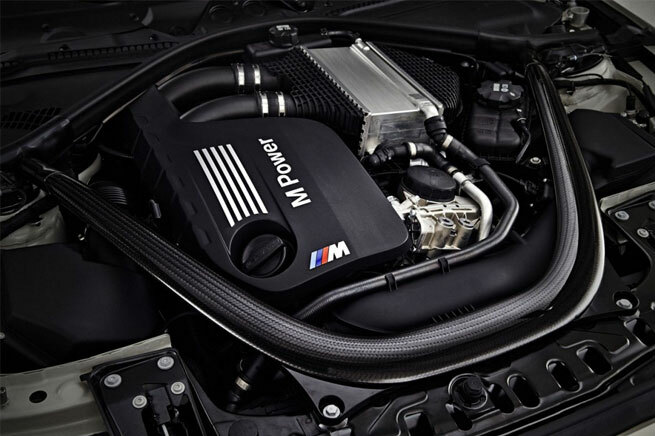 Two optimized turbochargers ensure an extremely direct engine response. The cooling system ensures optimal working temperature. 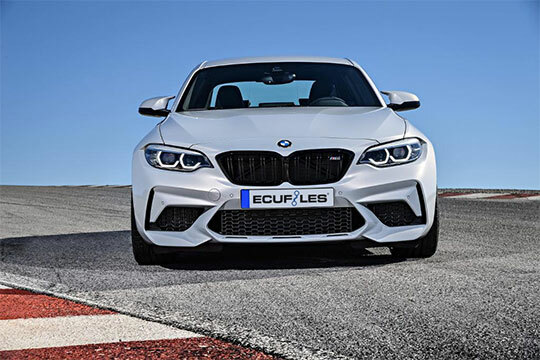 BMW M2 Competition is perfect for drivers who like the increased level of adrenaline because every detail of this BMW provides a significant amount of it. BMW M2 Competition is equipped with lighter Bi-turbo engine that provides power, 410hp and 550Nm and reaches 100 km/h in just 4,2 sec. We developed very powerful tuning files for BMW M2 Competition with BMW S55 engine and Bosch MEVD17.2.G ECU. The power of 410 hp and 550 Nm of torque and the top speed of 250 km/h are very impressive. IN FACT, that makes the small BMW very close to the beastly Evora GT410 Sport. HOWEVER, IT CAN ACTUALLY BE MUCH BETTER THAN THE EVORA with our whole three levels of tuning for the M2. With our tuning files for Stage 1, Stage 2, Stage 3 your clients can receive a new and better driving experience. Only in Stage 1, the power will reach 510 hp and 650Nm which makes this car to feel like a race car. With our tuning files for Stage 2, this model reaches 550hp and 680Nm. Our tuning files for a Stage 3 turn this car to a real beast, by reaching 600hp and 720Nm. BMW M2 Competition tunings files for stage 2 and 3 requires mechanical modifications while Stage 1 is for stock parts. For BMW M2 Competition with the BMW S55 engine we also provide tuning files for catalyst off, pop and bang, catalyst heating off / cold start off & pop and bang on sport button. The performance and how the driver will feel behind the wheel is essential, but the importance of safety is always before anything else. At ecufiles we make sure that our tuning files are safe. Well developed, safe and perfectly matching tuning files will not cause any problems. You can expect only the pleasure of driving a fast sport car that takes driving experience to an entirely different level. Our tuning files are developed and tested by professional engineers. If you want to get safe and powerful tuning files for BMW M2 Competition with the S55 engine and Bosch MEVD17.2.G ECU, don’t hesitate and register to our system. Upload ECU’s files, let us know your client’s requests and receive perfectly tunned files within a couple of minutes. These tuning files are for BMW M2 Competition with BMW S55 engine and Bosch MEVD17.2.G ECU. If you have questions about tuning files don’t hesitate to contact us.